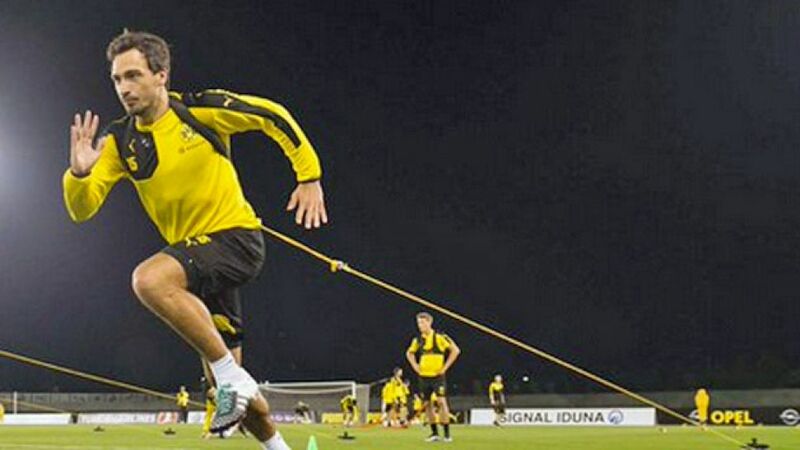 There is no room for distractions at Borussia Dortmund’s mid-season training camp in Dubai, according to Mats Hummels. Vote now if you think Hummels deserves a place in our Team of theHinrunde. The Persian Gulf is famed for its opulent lifestyle and white-sand beaches, but the BVB captain insists he is there to work. "I’m on the pitch more than the beach," Hummels told Germany’s largest sporting specialist magazine, kicker. "The facilities are sensational - it doesn’t get much better." The Nad Al Sheba sports complex will be Dortmund’s home until they return to German soil on 16 January. Die Schwarz-Gelben then have a week to prepare for their first competitive outing of the calendar year away to Borussia Mönchengladbach in the Bundesliga on 23 January. "The goal is to mix it at the top of the Bundesliga, but unfortunately we dropped three points at Köln [on Matchday 17]," Hummels said, Dortmund having gone into the winter break eight points behind leaders FC Bayern München in second place. "[The title's] off the agenda for us now, but we’ve still got a good chance in the DFB Cup and the Europa League." Get the lowdown on Dortmund's season so far. With a congested schedule of Bundesliga and knockout football just around the corner, Dortmund will be hoping their quest to bring silverware to the club for the first time since August 2014’s Supercup triumph over FC Bayern is not derailed by injuries. Defender Erik Durm’s return to training was cut short by a neck complaint on Saturday, while midfielder Nuri Sahin could only manage a short shift following nine months on the sidelines with a long-standing groin problem. As for left-back Marcel Schmelzer and defensive midfielder Sven Bender, only time will tell if they manage to shake off minor knocks and partake in team training before Dortmund fly home next week. bundesliga.com users chose Schmelzer as their left-back of the Hinrunde.